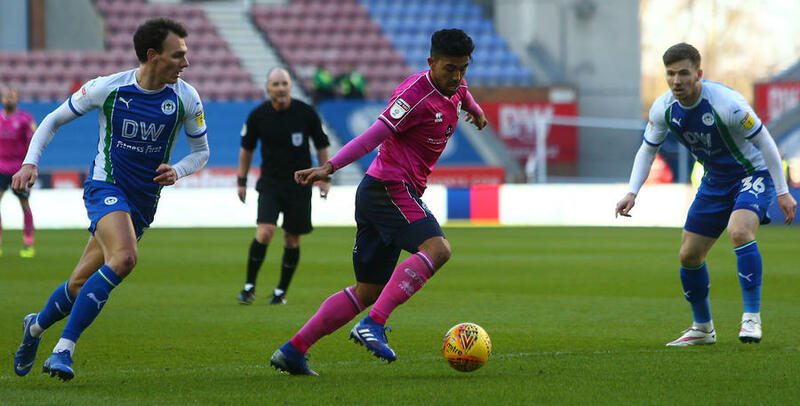 QUEENS Park Rangers have come away from Wigan empty-handed after a 2-1 defeat at DW Stadium on Saturday afternoon. Steve McClaren made two changes to the lineup who drew 1-1 with Portsmouth last week, with Ebere Eze coming into the side alongside Massimo Luongo who returned from international duty at the Asian Cup. And it was the R’s who had the first sight on goal in the fourth minute when Nahki Wells let fly from distance. The Bermudan’s bouncing shot could only be parried by Jamie Jones in goal, though the keeper was up quick to smother Luke Freeman’s attempt on the follow-up. Though it was the home side who would open the scoring in the eighth minute as Windass broke through the middle before slotting the ball past Joe Lumley. Wells had an opportunity to notch a quick reply for the R’s when he skipped past Cedric Kipre but a heavy touch from the striker invited Jones to come off his line and defuse the chance. QPR continued to push for an equaliser and went close through a Joel Lynch header off a Luke Freeman corner though the defender’s effort was nodded over the bar by a Wigan player. The R’s played majority of the remainder of the half in Wigan’s half of the field but couldn’t fashion a clear path to goal and went into the break 1-0 down. After the restart Wigan had a chance to double their advantage in the 50th minute when Michael Jacobs raced towards goal after Jake Bidwell had turned the ball over but Jacobs couldn’t guide his low shot past Lumley. Wigan did grab their second just four minute later when Leon Clarke was on at hand to tap in a ball from the left-hand side. Luongo tried to get his side back into the match when he connected with a volley on the edge of the area but Jones got down well to collect. QPR did pull one back in the 75th minute through half-time substitute Bright Osayi-Samuel, whose deflected shot from the edge of the box wrong-footed Jones and trickled into the net. Rangers nearly had their second when the ball dropped to Toni Leistner in the box but the German’s powerful volley cannoned back off the crossbar and away to safety. QPR battled hard in the dying stages to find an equaliser but were unable to find a way through Wigan's defence as the game finished 2-1 in the home side's favour. 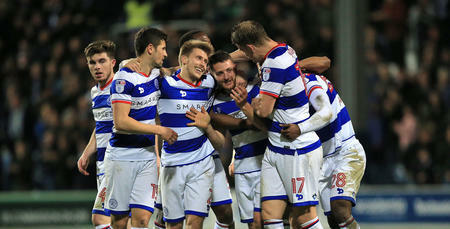 The R’s will now look to bounce back when they host Portsmouth at Loftus Road in Tuesday night’s fourth round Emirates FA Cup replay. 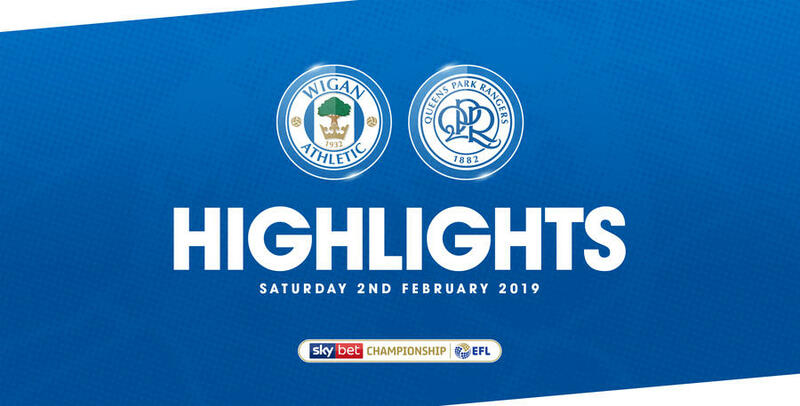 WATCH highlights from QPR's 2-1 defeat against Wigan Athletic at the DW Stadium on Saturday afternoon.